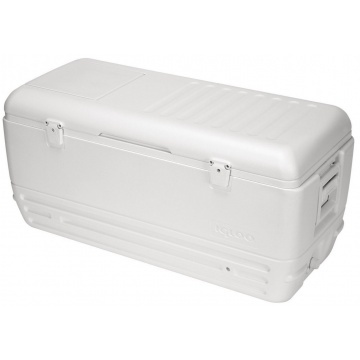 The Igloo 150 QT 138 litre Extra large size versatile white passive cool box ice chest is ideal for the storage and transport of your chilled or frozen beer, wine, meat or fish. 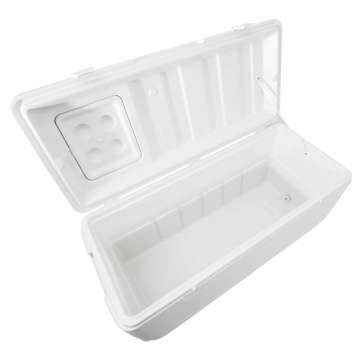 Quick-access hatch lets you grab food or drinks without allowing cold air to escape. 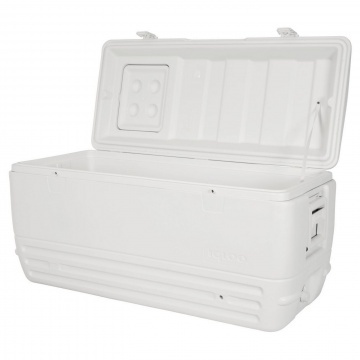 Extra large cool box with 138 litres capacity. 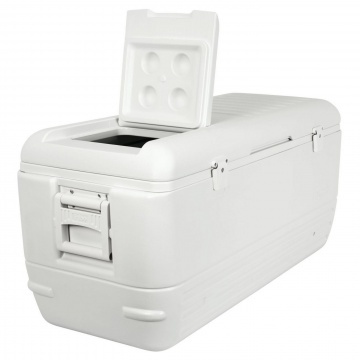 In test when box is completely full of ice the ice can remains frozen for up to 7 days. 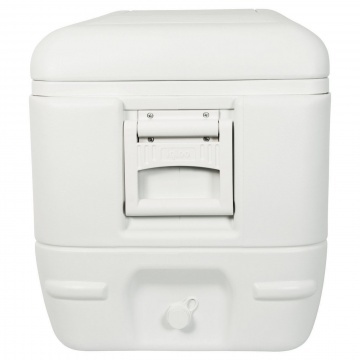 The Surelock™ lid hinge design holds the lid open to allow for easy access. 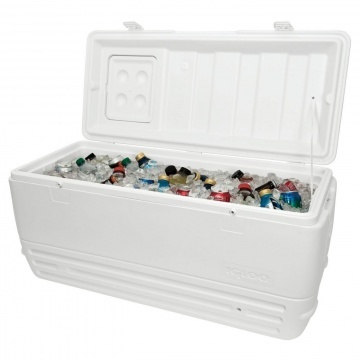 Igloo Coolers patented Insulation in both body and lid for maximum cold retention. 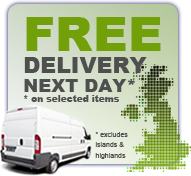 Stores 248 standard size 330ml drinks cans. 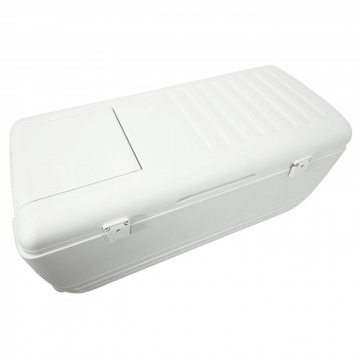 Total empty cool box weight 11 kg. Length 106 x Width 47 x Height 50. Length 94 cm x Width 37 cm x Height 39 cm. 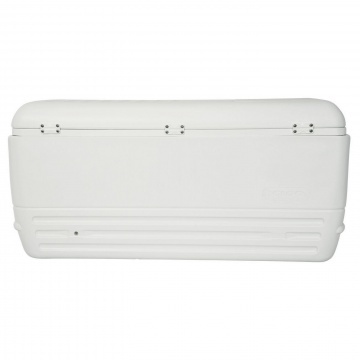 Length 91 cm x Width 33 cm x Height 39 cm.